Sri Lanka’s first batch of 32 graduates of the Executive Masters in Information Security offered by CICRA Campus in partnership with Asia E University (AEU), Malaysia received their degrees during the AEU convocation recently in Kuala Lumpur. A group of graduates of the Executive Masters in Information Security and senior officials of CICRA Campus posing for a picture after Asia E University convocation in Kuala Lumpur, Malaysia. “In addition to the 32 students who graduated in the first batch, there are 260 candidates currently following various stages of Executive Masters in Information Security at CICRA Campus,” CICRA Campus Group Director/CEO Boshan Dayaratne said. “This is the only masters degree in Sri Lanka that covers 360 degrees of information security,” Mr. Dayaratne said. “The rich curriculum of the degree encompasses the complete overall body of knowledge of the information security industry while our competent and experienced faculty are instrumental in guiding individuals to obtain the requisite accreditation to advance their career,” he said. A section of the graduands attending the 7 th Convocation of the Asia E University in Kuala Lumpur, Malaysia. 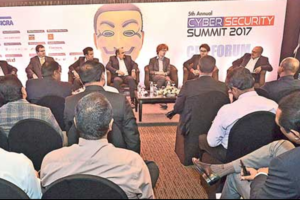 “We have an affordable, specially negotiated fee structure for Sri Lankan students that facilitates academic advancement of IT professionals,” he said. The Executive Masters in Information Security degree is awarded by AEU, Malaysia. AEU is a Member of the Association of Commonwealth Universities and Member of the International Council for Open and Distance Education. The university is an international university set in Asia, by Asians for Asia under the Asia Cooperation Dialogue of which Government of Sri Lanka is a signatory. The university is recognized by the University Grants Commission (UGC) of Sri Lanka.